Over 50,000 youth joined the opposition party daily rally in the city of Phnom Penh yesterday albeit attack by military police the previous night. 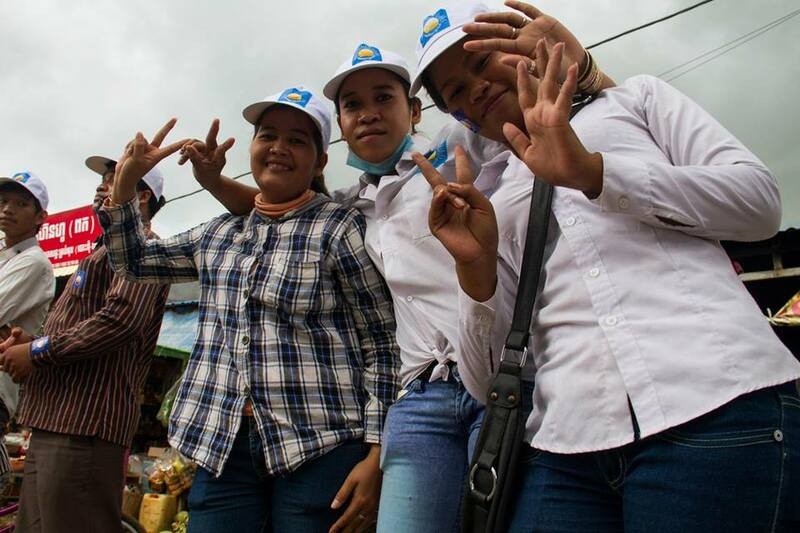 In a much smaller province of Battambang, CNRP youth rally is picking up a significant number . Amazing number of young women with the latest style: opposition stickers on their cheeks.